Five hundred years ago, the devils were beaten by the gods and started the resurrection. History and destiny, loneliness and resistance, are therefore all moved into a new era. Students in Tianting (Gods’ Palace) are stratified into levels after their birth. Born namelessly, Wu Kong is however arrogant and defies the god’s authorities. He breaks every rules, ignores all the supervision from the Buddhas, gods and faeries, and causes the whole Tianting with utter chaos. 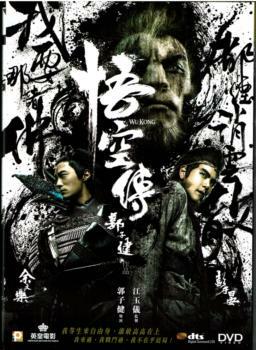 At the battle of Jiejie Bridge, Wu Kong and his mates are defeated and drop into the mortal world, where they then manage to find their selfness, friendship and love….